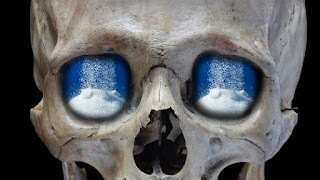 Massive cover-up exposed—sugar causes heart disease! If you’ve been a reader of mine for a while, you may recall me saying in the past that saturated fat is not the heart disease-causing devil it’s been made out to be, and sugar is really the bad guy. You might have even thought I was crazy. After all, everyone knows that red meat is a heart attack on a plate, right? And that sugar, while not innocent, merely causes cavities and packs a few pounds on your backside? Well, hold onto your hat because it’s now come out that the sugar industry PAID research scientists back in the 1960s to minimize the link between sugar and heart disease, and instead push saturated fat as the criminal. The damning historical documents (that were uncovered by a researcher at UCSF and published in JAMA Internal Medicine), support the fact that Big Sugar was able to buy researchers off in order to hide the sweet stuff’s significant role in heart disease. This falsified research has shaped our standard dietary recommendations (and medical school textbooks) toward the avoidance of saturated fat (while stressing low-fat, high-sugar foods) for the last 50 years! And it’s devastating to think of the number of people that have suffered and died from heart disease as a result of this greed. Sucrose (table sugar) is made up of two natural sugar units--one glucose and one fructose. High fructose corn syrup, on the other hand, is 100 percent fructose in a highly processed form that does NOT exist in apples, peaches or plums…plus it’s made from GMO corn to boot. Your body processes glucose and fructose in two different ways--your liver needs to break down only 20 percent of the glucose you take in, but 100 percent of the fructose. So inundating your body with large amounts of HFCS puts a tremendous stress on your liver. And since your liver is responsible for regulating your body’s cholesterol levels, having a liver that is taxed from HFCS can certainly affect its cholesterol monitoring abilities. Plus unlike glucose which your body can use for energy, HFCS turns into fatty acids, excess cholesterol, and triglycerides. Sugar is a very inflammatory substance…and when you eat a lot of it, you tax your pancreas’ insulin production capabilities. Eventually, sugar builds up in your bloodstream and stirs up inflammation in your arteries. Your body heals the inflammation by summoning cholesterol to the area as a salve. But when your arteries incur repetitive sugar-induced inflammation, not only is cholesterol repeatedly recruited, but those areas become "magnets" for fibrous proteins called fibrinogens, plus calcium deposits, and wastes and toxins in your blood. And that is the perfect recipe for high blood pressure and atherosclerosis! Your intestinal wall is strong enough to move your wastes along and keep dangerous toxins "locked up" until they can be eliminated with your bowel movements. At the same time, it also "opens its doors" just ever so slightly to allow nutrients from your foods to be absorbed into your bloodstream. But when your gut wall becomes TOO permeable--known as leaky gut-- toxins from your foods, the environment, and disease-causing bacteria now have an "open door" to seep into your bloodstream and ignite inflammation in your arteries. And a leading cause of a leaky gut wall is SUGAR! Sugar feeds the harmful bacteria in your gut, which then overcome your friendly flora and eat away at the gut wall, making it too porous. Here are three ways to help minimize sugar’s effects on your body, and help you recover from any harm it has caused you. Use organic raw honey, organic cane sugar, organic real maple syrup or stevia for sweeteners in moderation, and avoid high fructose corn syrup like the plague. Drink water instead of soda. Soda is THE single largest source of sugar (HFCS) consumption in the world. Concentrate on real foods—fruits, vegetables, meats, poultry, dairy, real butter, legumes, nuts, and seeds. You will stay satisfied longer and won’t be as tempted to reach for a sweet snack. And limit your “sugar indulgences” to special occasions like a birthday or a holiday. Trust me, our heart disease epidemic is not the result of people eating pumpkin pie on Thanksgiving or a piece of birthday cake—it’s the result of a daily onslaught of sugar to the tune of 150 pounds per person per year. Eat simpler meals to support better digestion and a healthier gut wall. Pair proteins OR starches (never both together) with vegetables and tossed salad—you’ll likely feel the difference in your digestion immediately! Also, if you have low stomach acid, take antacids or frequently suffer from indigestion or heartburn, digestive enzyme supplementation can pinch hit where your body needs a little enzyme boost. The friendly bacteria in your system help to keep your gut wall strong and non-porous, assist with digestion and keep harmful bacteria under control. Unfortunately, sugar destroys your friendly flora, so if you’ve been a sugarholic for a while, a full-spectrum probiotic supplement can help rebuild your supply of these helpful good guys. Your body needs saturated fats for your brain, nervous system, hormones and even your heart to function properly! They are only a concern if you have WAY too many or the wrong kind. So go ahead and have saturated fats in healthful amounts—like a 4-5 oz. piece of meat, some butter on your vegetables or scrambled eggs for breakfast. The truly health-wrecking saturated fat is TRANS-FATS—they are what will guarantee your appointment with the cardiologist (or undertaker), and must be avoided at all times. Read food labels carefully and avoid margarine and hydrogenated oils. I once had a conversation with a woman who proudly told me that she was happy to be in good health in her mid-50s. This woman is anything BUT healthy. What she has is a chemically-induced absence of symptoms. Sadly, people like this sickly woman are rapidly increasing in number in our society today. Plus we’re not dealing with isolated health challenges anymore—at least one out of four of us has two or more chronic conditions which are never "cured" but just "managed" with multiple medications. And that's our new definition for "health"--medicated for life and never really feeling good, but making drug companies rich beyond belief. What's behind these health horrors? While there are many reasons for our abysmal states of health, one of the most significant underlying factors is chronic inflammation. Nearly 7 out of 10 of us are overweight or obese. Allergic conditions (including asthma) now rank 5th among chronic diseases. Nearly 30 million Americans have diabetes, and estimates are that by 2025, the number of Americans with diabetes will be at least 50 million. Arthritis and joint disease affect 53 million people in the United States--almost 1 out of 5 people. Over 5 million Americans have Alzheimer’s disease. Our number one and two killers—heart disease and cancer—are responsible for nearly half of all deaths. Nearly one-third of us have high blood pressure. If those statistics don't scare you, I don't know what will. The good news is there are ways you can fight chronic inflammation and help prevent it from creating chronic disease in you. And even if you are already affected with one or more chronic diseases, you can help mitigate their effects and even possibly reduce or eliminate the need for certain medications! Omega-3 essential fatty acids are Nature's anti-inflammatory. These are found in abundances in fatty fish like salmon, tuna, and cod. Unfortunately, also found in abundance in these critters are high levels of mercury, PCBs, and other toxins, especially in those caught from the Atlantic…so it's wise to avoid Atlantic varieties and eat only wild-caught Pacific or Alaskan varieties. Also, purified, pharmaceutical-grade fish oil supplements are a great way to get the Omega-3 EFAs you need without having to worry about pollutants in grocery store fish. Just remember to talk to your doctor first if you are on blood thinners. Meat and eggs from conventionally farmed animals, especially beef and chicken. Strive for organic versions of these. Conventionally grown produce with high pesticide residues. Try to buy organic as much as you can. The beneficial bacteria in your gut house 70 percent of your immune system, so that should give you a clue as to how important they are. Unfortunately, our gut bacteria populations have been under assault from things like antibiotics (from both pills we take and conventionally farmed animals we eat), refined carbohydrates, soda, smoking, lacking sleep, medication residue, and stress. In addition, our exaggerated fears of bacteria and our efforts to wipe them out of our existence has created immune systems which have not been conditioned or developed to function as they were designed to. 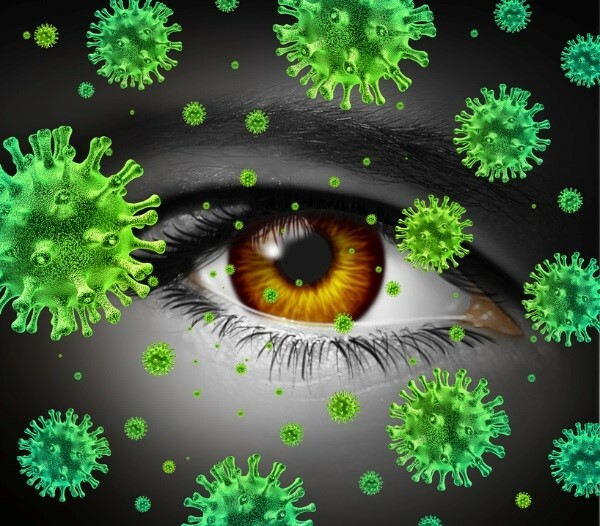 Instead what we’re seeing are over-sensitive immune systems that launch an out and out inflammatory attack against harmless microbes or tissues, and this is coming out as our skyrocketing rates of autoimmune diseases and allergies. So now more than ever, it’s crucial to help support your gut bacteria and immune system with a full-spectrum, multi-strain probiotic formula. No matter what your state of health is, you can be helped by counteracting inflammation in your body with safe, natural measures.